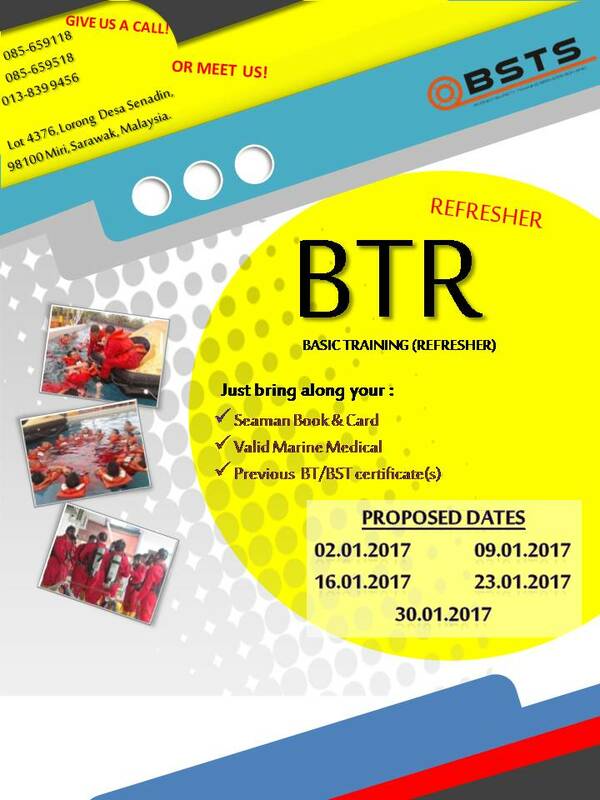 Basic Training Refresher 2017 | BSTS SDN. BHD. We have few sessions for BTR in January 2017. Please refer to the Ads for the Proposed Dates! Seats Limited to 16 Pax per session. BOOK NOW!